This autumn, the climbing season on Mt. Fuji was finished this year. We look forward to open the gate next year. One of our shop services is outdoor gear rental service. We have lended the mountain gear that have been main rental gear until 10th September this year. Our rental space is changing rental gear for the camping little by little. We will write what camping gear you can rent. Outdoor Tent has some types. If you want to know the detail, please click the link below. Our shop has 2 models of Camping tent. One of them is “Tough wide dome 300 EX” from Coleman. The other one is “Lela dome 4” from montbell. “Coleman” and “montbell” are both of Japanese outdoor company. Above 2 models are famous camping tent in Japan. “Tough wide dome 300 EX” is for 4 ~ 6 persons and “Lela dome 4” is for 4 persons. 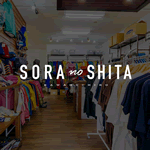 If you want to camp by solo, please check “Soranoshita” official web site. If you rent the tent, you might bring the tent mat. Because your sleeping quality depends on the place to build the tent. Our rental service has the mat for tent. “Folding tent mat / 300” is for “Tough wide dome 300 EX”. Our rental schlaf is “Polygone schlaf standard” from finetrack. This schlaf corresponds for 3 seasons (from Spring to Autumn). The warmer uses non-woven fabric in the batting. So this schlaf is strong by moisture and drop of water. The schlaf is highly appreciated by the customers who rented it. If you rent the “Lela dome 4” from our shop, the tent cannot accept the “Tough wide dome 300 EX”. Please don’t worry about it. We have “Therma Rest” that is a mat for schlaf. Actually, Schlaf mat is used to laid out under a schlaf. So the width of schlaf mat is for a person. But the schlaf mat is smaller than mat for tent. It’s confortable to bring to a tent site. When you camp in a camp site, you need some chairs to become relax. We have the chair that is “LOGOS Pathfind chair”. This camping chair is easy to assemble. Fill out each column of the document for rental. Please show us your passport or ID when you perform the procedures. Each price of rental gear includes rental fee and deposit fee. And the rental term is for 3 days. We pay back the deposit fee when you return rental gear. When you return our rental gear, please bring the document for rental with them. If you forget to bring the document, we cannot pay back the deposit fee. Of course you can buy our rental gear. If you want to buy it, the price is combined the retal fee and the deposit fee. When you visit at Kawaguchiko, please come to our shop! We are looking forward to see you!